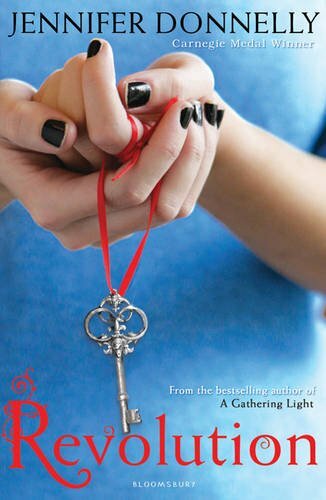 I recently wrote a blog post about the paranormal YA books that changed my mind about the genre, and I enjoyed writing that post so much that I thought I would make a series out of it. I think it's no secret around here that contemporary YA is where my heart lies. I love realistic stories so much but I feel like when I'm only reading contemporary that I'm missing out on what else is out there. And there is a group of books that I've been avoiding altogether for many a year. And that is the historical YA novel. I steer a wide berth. But then, as it happened recently, I'll pick up a book and fall in love and it'll be a huge suprise to me because *gasp* I've just read a historical novel and I adored it. Here are the historical YA books that have made me sit up and take notice. This is the book that really started this whole 'I heart historical novels.' I finished A World Between Us and I was just blown away. I loved how the narrative was so rich with historical detail and yet it wasn't at all weighed down by it. There are three points of view telling the story and each character was well-developed and interesting. The story is that of a historical time period that I knew nothing about so everything was new and such a surprise! 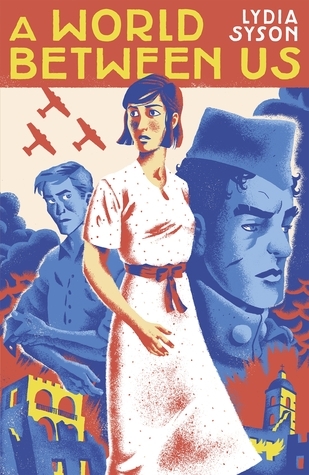 And despite the way in which the Spanish Civil War ended up, and despite the horrific experiences these three character face during their time volunteering in the war effort, Lydia Syson gave us a bright and hopeful ending that put a huge smile on my face. I finished this book and I was so excited to read more. Read more historical YA, sure, but also to just read more history. This book was an inspiration to me. 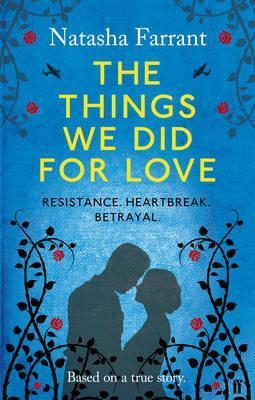 The Things We Did For Love came out last year in hardback, I believe. I passed over my chance to read and review it because it just was not the right time then. Which meant that when I picked it up as a new paperback release this year, it was the perfect timing. I love finding the exact right book at the right time. And while I wasn't completely convinced by the romantic relationship at the heart of the story, I didn't feel like it mattered. I loved getting a feel for wartime France during WWII, and seeing the ways in which every day people in this little village reacted to what was going on around them - from the passionate way in which some young men wanted to join up and fight, the women who tried to convince them to stay by any means necessary and even the little boy who sells secrets and trades on the black market. I found it all to be quite fascinating. And I love reading books about World War II, when did I forget that?! Oh boy, I've had Revolution sat unread on my shelves for years. And I know exactly the two reasons why I never picked it up to read before now - I was intimidated by both the size of the book and also the historical elements that I knew were woven into the story. And I can't even say that I wish someone had told me earlier how brilliant Revolution is, because other blogger friends did, and I just didn't listen. Revolution isn't like the other books on this list. It isn't technically historical at all, as so much of the storyline is told from the point of view of a teenager, Andi, staying in France for the school holidays, writing her senior thesis in the home of a man who is a scholar of the French revolution. And whilst there, she finds a notebook in a hidden compartment of an old guitar case. And the beauty of Revolution is how wonderfully Jennifer Donnelly combines the many strands of the story, from Andi's grief over the loss of a loved one, her love of music, the historical detail of the French revolution, and the setting of Paris in which to uncover all of these secrets and revelations. It is a fantastic story, one that inspired me in more ways than one. But I'll have to tell you about that on another day! 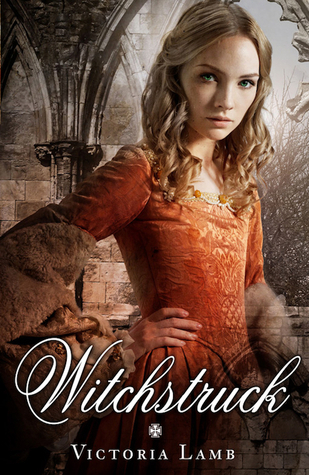 I have only had a copy of Witchstruck by Victoria Lamb in my possession for a few short weeks. The sequel, Witchtower, is being published later in the year and I wanted to be caught up with as many UKYA series as I can. But it was the announcement of Witchstruck being on an award's shortlist that had me picking this book up sooner rather than later. I'll admit that it was the romance element of the story that really attracted me to the book, but I still found myself really interested in the Tudor time period as well. I think British history is something that I really feel like I should know more about, and really, I know next to nothing. I loved the combination of witchcraft and history here. There's political intrigue that goes with the time, as the main character is a servant of Elizabeth I before she became queen when Mary is still in charge. I kind of love that I did learn a bit about the different religion struggles going on, the ways in which every day people were rooting for one or the other. I definitely think that kings and queens in Britain are hugely interesting and I think I shall do more to brush up on my historical knowledge! Which historical YA was the book that had you most fascinated by history? Little M really enjoyed VIII by HM Castor, it's about Henry the Eighth as a boy. Code Name Verity by Elizabeth Wein is just excellent and clever too. But Nick Lake's In Darkness taught me some things about Haitian history and Patricia McCormick's Never Fall Down taught me a lot about Cambodia. I did pick up In Darkness from the library after you mentioned it on Twitter, and I actually forgot that I had Never Fall Down! Will get to those two soon, I hope. The Cat Royal series is a great children's historical fiction. In fact, doing my dissertation on the third one, Den of Thieves, about the French Revolution! Thanks for this mention, Clover! Glad you enjoyed Witchstruck. I'm afraid my editors have renamed the sequel though, in a lastminute.com manner, so it's no longer witch Tower but Witchfall. Same lovely cover which I adore though! Oh, and Jean Plaidy's The Young Elizabeth was what excited me as a teen. Great book! I think it's no surprise that historical fiction is one of my favourite genres; I love it so much. I find it very similar to contemporary, actually, and there have been times where I read nothing but the two genres. I received Witchstruck last week and am really excited to start it. Revolution is also a book that has been on my wishlist for a while and so I must try and get my hands on a copy soon. This is a great post. I don't read much historical YA but maybe I should give these books a go! You definitely should! They're all very accessible, not weighed down by the historical detail and also fascinating!